Ken Hillas, a Senior Foreign Service Officer, is now Professor of Strategy at the National War College and a Senior Inspector at the Office of Inspector General (OIG) of the U.S. Department of State and the Broadcasting Board of Governors. From March 2008 until June 2009, he led a 40-person, inter-agency Provincial Reconstruction Team in the south-central Iraqi Province of Babil. 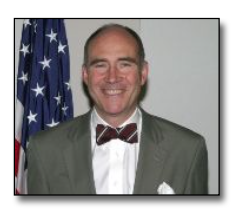 He has served as Deputy Chief of Mission at both the U.S. Embassy in Warsaw, Poland (2005-2008) and the U.S. Embassy in Prague, Czech Republic (2002-2005). 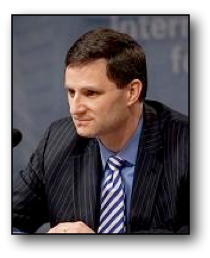 He was in 2000-2001 the State Department’s Deputy Special Negotiator for Eurasian Conflicts with an OSCE mandate to mediate the conflict between Armenia and Azerbaijan over Nagorno-Karabakh. He has been a member of the Foreign Service for 30 years and has received several Superior Honor and Meritorious Honor Awards. His foreign assignments have included Mexico, Russia, Italy and South Africa, as well as a short-term assignment in 1993-94 on the Bosnia Border Monitor Mission prior to the Dayton Accords-Serbian Border. He speaks good Russian, Spanish and Italian, as well as fair Polish and Czech. 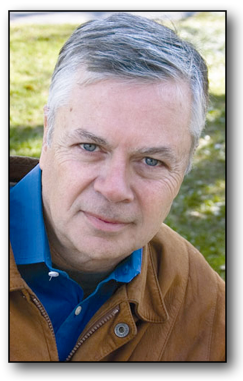 A graduate of the University of Maine (BA, 1976), Mr. Hillas received an MA in 1977 in International Relations from the University of Pennsylvania and an MS in 2000 in National Security Studies from the National War College. He and his wife Barbara have been married 32 years and raised four children. Topic: Iraq and Syria: What Next? Ambassador Peter W. Galbraith is the Senior Diplomatic Fellow at the Center for Arms Control and Non-Proliferation where his work focuses on Iraq, the greater Middle East, and conflict resolution and post-conflict reconstruction, specifically in the Balkans, Indonesia, Iraq, India/Pakistan, and Southeast Asia. 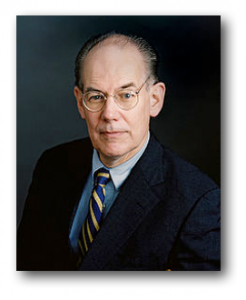 Prior to joining the Center, Galbraith was a professor of National Security Strategy at the National War College. He has held senior positions in the United States government and with the United Nations. From 1979 to 1993, Galbraith was a senior advisor on Near East and South Asia and international organizations to the Senate Foreign Relations Committee. From 1993 to 1998, he served as U.S. Ambassador to Croatia where he was actively involved in the Croatia and Bosnia peace processes. In 1995, he helped mediate the Erdut Agreement that ended the war in Croatia by providing for peaceful reintegration of Serb-held Eastern Slavonia into Croatia. From 2000 to 2001, Galbraith was Director for Political, Constitutional, and Electoral Affairs at the U.N. Transitional Administration in East Timor (UNTAET). He also served as a Cabinet Member for Political Affairs and the Timor Sea in the First Transitional Government of East Timor. Galbraith has authored numerous books, including The End of Iraq (2006). He is the author of published Foreign Relations Committee reports on ethnic cleansing in Bosnia-Herzegovina, the Iran-Iraq War, the Iraqi Kurds, nuclear proliferation in South Asia, and the Cambodian famine. Galbraith holds an A.B. from Harvard College, an M.A. from Oxford University, and a J.D. from Georgetown University. 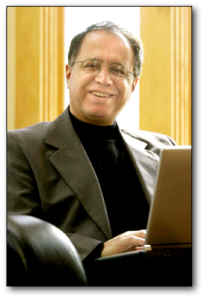 Shibley Telhami is the Anwar Sadat Professor for Peace and Development at the University of Maryland, College Park, and non-resident senior fellow at the Saban Center at the Brookings Institution. He has also taught at Cornell University, the Ohio State University, the University of Southern California, Princeton University, Columbia University, Swarthmore College, and the University of California at Berkeley, where he received his doctorate in political science. Professor Telhami has served as Advisor to the US Mission to the UN, as advisor to former Congressman Lee Hamilton, as a member of the US delegation to the Trilateral US-Israeli-Palestinian Anti-Incitement Committee, on the Iraq Study Group, and on the US Advisory Group on Public Diplomacy for the Arab and Muslim World. 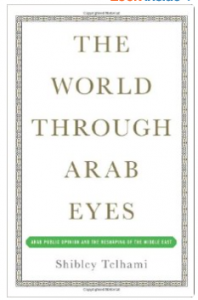 Among his numerous publications is his best-selling book, The Stakes: America and the Middle East which was selected by Foreign Affairs as one of the top five books on the Middle East in 2003. He conducts extensive public opinion surveys in the Arab world and has been a regular commentator in national and international media. He is a member of the Council on Foreign Relations and serves on the board of Human Rights Watch (and as Chair of Human Rights Watch/Middle East). 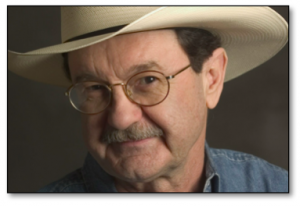 Jim Hightower is a national radio commentator, writer, public speaker, and author of the book, Swim Against The Current: Even A Dead Fish Can Go With The Flow. He has spent four decades battling the Powers That Be on behalf of the Powers That Ought To Be – consumers, working families, environmentalists, small businesses, and just-plain-folks. Twice elected Texas Agriculture Commissioner, Hightower believes that the true political spectrum is not right to left but top to bottom, and he has become a leading national voice for the 80 percent of the public who no longer find themselves within shouting distance of the Washington and Wall Street powers at the top. Hightower is a modern-day Johnny Appleseed, spreading the message of progressive populism all across the American grassroots. He broadcasts daily radio commentaries that are carried in more than 150 commercial and public stations, on the web, and on Radio for Peace International. Each month, he publishes a populist political newsletter, “The Hightower Lowdown,” which now has more than 135,000 subscribers and is the fastest growing political publication in America. The hard-hitting Lowdown has received both the Alternative Press Award and the Independent Press Association Award for best national newsletter. A popular public speaker who is fiery and funny, he is a populist road warrior who delivers more than 100 speeches a year to all kinds of groups. He is a New York Times best-selling author, and has written seven books including, Thieves In High Places: They’ve Stolen Our Country And It’s Time To Take It Back; If the Gods Had Meant Us To Vote They Would Have Given Us Candidates; and There’s Nothing In the Middle Of the Road But Yellow Stripes and Dead Armadillos. His newspaper column is distributed nationally by Creators Syndicate. Hightower was raised in Denison, Texas, in a family of small business people, tenant farmers, and working folks. A graduate of the University of North Texas, he worked in Washington as legislative aide to Sen. Ralph Yarborough of Texas; he then co-founded the Agribusiness Accountability Project, a public interest project that focused on corporate power in the food economy; and he was national coordinator of the 1976 “Fred Harris for President” campaign. Hightower then returned to his home state, where he became editor of the feisty biweekly, The Texas Observer. He served as director of the Texas Consumer Association before running for statewide office and being elected to two terms as Texas Agriculture Commissioner (1983-1991). During the 90’s, Hightower became known as “America’s most popular populist,” developing his radio commentaries, hosting two radio talk shows, writing books, launching his newsletter, giving fiery speeches coast to coast, and otherwise speaking out for the American majority that’s being locked out economically and politically by the elites. 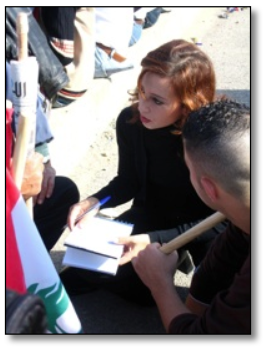 Rania Abouzeid is a Beirut-based journalist who has chronicled the Syrian uprising extensively since it began in 2011. 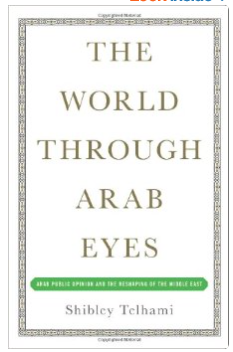 Prior to that, she covered the revolutions in Tunisia and Egypt and has reported on wars, assassinations, and popular movements across the Middle East and South Asia over the past 14 years. Rania’s work has been published in TIME magazine, The New Yorker, Foreign Affairs, Foreign Policy, and a host of other outlets. She has also appeared as a commentator on PBS, Al Jazeera, the BBC, CBS, CBC, and other networks. Dean Cheng brings detailed knowledge of China’s military and space capabilities to bear as The Heritage Foundation’s research fellow on Chinese political and security affairs. He specializes in China’s military and foreign policy, in particular its relationship with the rest of Asia and with the United States. Cheng has written extensively on China’s military doctrine, technological implications of its space program and “dual use” issues associated with the communist nation’s industrial and scientific infrastructure. He previously worked for 13 years as a senior analyst, first with Science Applications International Corp. (SAIC), the Fortune 500 specialist in defense and homeland security, and then with the China Studies division of the Center for Naval Analyses, the federally funded research institute. Before entering the private sector, Cheng studied China’s defense-industrial complex for a congressional agency, the Office of Technology Assessment, as an analyst in the International Security and Space Program. Cheng has appeared on public affairs shows such as John McLaughlin’s One on One and programs on National Public Radio, CNN International, BBC World Service and International Television News (ITN). He has been interviewed by or provided commentary for publications such as Time magazine, The Washington Post, Financial Times, Bloomberg News, Jane’s Defense Weekly, South Korea’s Chosun Ilbo and Hong Kong’s South China Morning Post. Cheng has spoken at the National Space Symposium, National Defense University, the Air Force Academy, Massachusetts Institute of Technology (MIT) and Eisenhower Center for Space and Defense Studies. 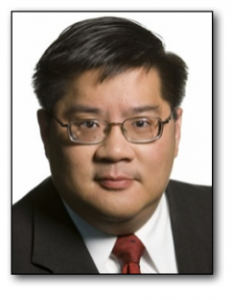 Cheng earned a bachelor’s degree in politics from Princeton University in 1986 and studied for a doctorate at MIT. He and his wife reside in Vienna, Va.
Topic: The EEU and its relationship to the U.S.
Michelle Egan is an Associate Professor and Jean Monnet Chair in the School of International Service at American University in DC. She is the author of a number of books including Single Markets: Economic Integration in Europe and the US which will be published by Oxford University Press in December. She is editor of a book series with Palgrave Macmillan on the EU. Currently she is Chair of the EU Studies Association (EUSA), the largest professional organization that focuses on the EU. Professor Egan is the recipient of a number of fellowships and awards including a Bosch Fellowship, and German Marshall Fellowship, and has been a non-resident fellow at Atlantic Council in DC. She worked at CEPS, the Center for European Policy Studies, the premier think tank in Brussels, and has given presentations to the European Commission, National Intelligence Council and State Department where she briefed incoming US Ambassadors designate on EU and NATO affairs. 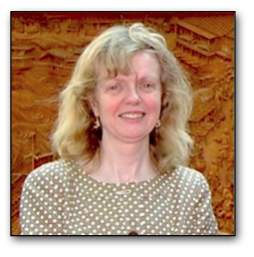 She is currently working on a book on the Transatlantic Trade and Investment Partnership, and articles on the European Court of Justice. She is a EU citizen with British and Irish citizenship. John J. Mearsheimer is the R. Wendell Harrison Distinguished Service Professor of Political Science and the co-director of the Program on International Security Policy at the University of Chicago, where he has taught since 1982. He graduated from West Point in 1970 and then served five years as an officer in the U.S. Air Force. He then started graduate school in political science at Cornell University in 1975. He received his Ph.D. in 1980. 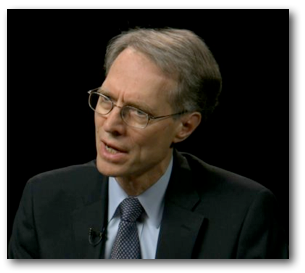 He spent the 1979-1980 academic year as a research fellow at the Brookings Institution, and was a post-doctoral fellow at Harvard University’s Center for International Affairs from 1980 to 1982. During the 1998-1999 academic year, he was the Whitney H. Shepardson Fellow at the Council on Foreign Relations in New York. He has also written many articles that have appeared in academic journals like International Security, and popular magazines like the London Review of Books. Furthermore he has written a number of op-ed pieces for the New York Times and the Los Angeles Times dealing with topics like Bosnia, nuclear proliferation, American policy towards India, the failure of Arab-Israeli peace efforts, and the folly of invading Iraq. Topic: The Brothers: John Foster Dulles, Allen Dulles, and Their Secret World War. Kinzer’s most recent book is The Brothers. 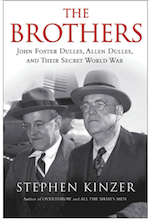 John Foster Dulles, Allen Dulles, and Their Secret World War, published in October, 2013. In 2006 Kinzer published Overthrow: America’s Century of Regime Change from Hawaii to Iraq. It recounts the 14 times the United States has overthrown foreign governments. Kinzer seeks to explain why these interventions were carried out and what their long-term effects have been. 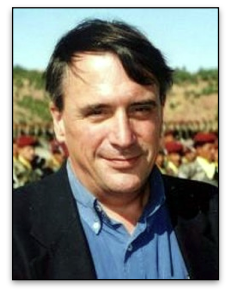 He is also the author of All the Shah’s Men: An American Coup and the Roots of Middle East Terror. It tells how the CIA overthrew Iran’s nationalist government in 1953. Kinzer spent more than 20 years working for the New York Times, most of it as a foreign correspondent. His foreign postings placed him at the center of historic events and, at times, in the line of fire. While covering world events, he has been shot at, jailed, beaten by police, tear-gassed and bombed from the air. From 1983 to 1989, Kinzer was the Times bureau chief in Nicaragua. In that post he covered war and upheaval in Central America. He also wrote two books about the region. One of them, co-authored with Stephen Schlesinger, is Bitter Fruit: The Untold Story of the American Coup in Guatemala. The other one, Blood of Brothers: Life and War in Nicaragua, is a social and political portrait that The New Yorker called “impressive for the refinement of its writing and also the breadth of its subject matter.” In 1988 Columbia University awarded Kinzer its Maria Moors Cabot prize for outstanding coverage of Latin America. From 1990 to 1996 Kinzer was posted in Germany. From his post as chief of the New York Times bureau in Berlin, he covered the emergence of post-Communist Europe, including wars in the former Yugoslavia. Before joining the New York Times, Kinzer was Latin America correspondent for the Boston Globe. He studied history at Boston University and graduated with high honors. He now teaches journalism and international relations at Boston University, contributes articles to the New York Review of Books and The Daily Beast, and writes a world affairs column for The Guardian. Ambassador Jack Matlock is a career diplomat who served on the front lines of American diplomacy during the Cold War and was U.S. ambassador to the Soviet Union when the Cold War ended. Since retiring from the Foreign Service, he has focused on understanding how the Cold War ended and how the lessons from that experience might be applied to public policy today. Matlock became interested in Russia as a Duke University undergraduate, and after studies at Columbia University and a stint as a Russian-language instructor at Dartmouth College, entered the Foreign Service in 1956. 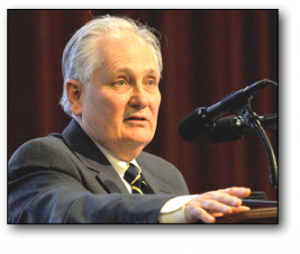 His 35 year career encompassed much of the Cold War period between the Soviet Union and the United States. His first assignment to Moscow was in 1961, and it was from the embassy there that he experienced the 1962 Cuban Missile Crisis, helping to translate diplomatic messages between the leaders. The next year he was posted to West Africa, and he later served in East Africa, during the post-colonial period of superpower rivalry. At the beginning of détente, he was Director of Soviet Affairs in the State Department, and began to participate in the summit meetings between the leaders, eventually attending all but one of the U.S. – Soviet summits held in the 20 year period 1972-91. Matlock was back in Moscow in 1974, serving in the number two position in the embassy for four years. The Soviet invasion ofAfghanistan in early 1980 ended the period of reduced tensions. Matlock was assigned to Moscow again in 1981 as acting ambassador during the first part of Ronald Reagan’s presidency. Reagan appointed him as ambassador to Czechoslovakia and later asked him to return to Washington in 1983 to work at the National Security Council, with the assignment to develop a negotiating strategy to end the arms race. When Mikhail Gorbachev became the leader of the Soviet Union in 1985, arms negotiations and summit meetings resumed. Matlock was appointed ambassador to the Soviet Union in 1987 and saw the last years of the Soviet Union before he retired from the Foreign Service in 1991. After leaving the Foreign Service, he wrote an account of the end of the Soviet Union titled Autopsy on an Empire, followed by an account of the end of the Cold War titled Reagan and Gorbachev: How the Cold War Ended, establishing his reputation as a historian. He joined the faculty of the Institute for Advanced Study and he went on to teach diplomacy at several New England colleges. He and his wife Rebecca live in Princeton, New Jersey. 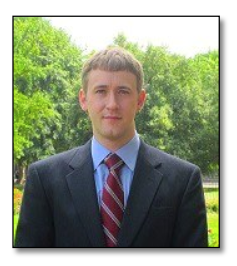 Peter Mattis is a Fellow in the China Program at The Jamestown Foundation and a PhD student in Politics and International Studies at the University of Cambridge. He edited Jamestown’s biweekly China Brief from 2011 to 2013. Prior to The Jamestown Foundation, Mr. Mattis worked as an international affairs analyst for the US Government. He received his M.A. in Security Studies from the Georgetown University School of Foreign Service and earned his B.A. in Political Science and Asian Studies from the University of Washington in Seattle. He also previously worked as a Research Associate at the National Bureau of Asian Research in its Strategic Asia and Northeast Asian Studies programs, providing research assistance and editing support. Laurence Pope is a thirty-one year veteran of the U.S. Foreign Service. An Arabist, during his Foreign Service career he served as a political officer at American embassies in in Morocco, Libya, Tunis, and as Deputy Chief of Mission in Bahrain. In the State Department, he was Director for the Northern Persian Gulf (Iran and Iraq) from 1987-1990, just before the first Gulf War. From 1993 to 1996, he was Ambassador to Chad, where he worked to organize the first presidential election in Chad’s history. From 1997 to 2000, he served as the Political Advisor to General Anthony C. Zinni, USMC, at the U.S. Central Command. Amb. Pope is a recipient of the highest award given by the Defense Department to a civilian, the Secretary of Defense Medal for Distinguished Civilian Service. In 2000, Pope was nominated as Ambassador to Kuwait by President Clinton, but chose to resign from the Foreign Service after a dispute over Iraq policy prevented his confirmation. In 2001, he served for several months as the Staff Director in Jerusalem for the International Committee on Middle East Peace led by former senator George Mitchell, and following the tragedy of 9/11, he was appointed as a senior advisor for Arab affairs at the U.S. Mission to the United Nations. Since then he has been a consultant to the Defense Department and other national security agencies, and he is currently a Senior Fellow at the Joint Forces Staff College in Norfolk, Virginia. Pope is the author of a biography of François de Callières, a celebrated diplomatic theorist in the age of Louis XIV, and he recently edited a narrative produced by the Marine Corps History Division: “Among Heroes – With a Marine Corps Rifle Company on Peleliu”. 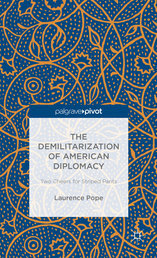 His most recent book is entitled, The Demilitarization of American Diplomacy: Two Cheers for Striped Pants. He has lectured widely on the Arab Spring Awakening, which he has called the Second Arab Awakening in an op-ed piece in the New York Times. He is currently a historian and national security consultant. A graduate of Bowdoin College, Ambassador Pope lives in Portland, Maine. Ambassador Pope is fluent in Arabic and French. Topic: Russia and the U.S.
Paul J. Saunders is Executive Director of the Center for the National Interest and a member of the Center’s Board of Directors. He is the Center’s Chief Operating Officer and directs its U.S.-Russian Relations Program in addition to leading projects on other issues, including energy and climate change and U.S.- Japan relations. He is also Associate Publisher of the foreign policy magazine The National Interest, published bi-monthly by the Center for the National Interest. Mr. Saunders served in the Bush Administration from 2003 to 2005 as Senior Advisor to the Under Secretary of State for Global Affairs. In that capacity, he worked on a broad range of transnational issues, in particular with respect to Russia, Ukraine, and the former Soviet Union, as well as Iraq, China and India. 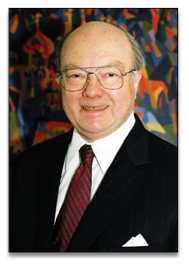 Earlier, Mr. Saunders served as Director of the Center from 1997 to 2003, and was Assistant Director of the Center from its founding in 1994 until 1997. In 2000, he was a Senior Policy Advisor to the Speaker’s Advisory Group on Russia, established by the Republican Policy Committee of the U.S. House of Representatives. He has written extensively for major newspapers and journals, and is a frequent commentator in national media, including CNN, Fox, and MSNBC. Mr. Saunders is the editor of Enduring Rivalry: American and Russian Perspectives on the Former Soviet Space and author of works including Russia’s Role in Asian Security; Russian Energy and European Security; and Russia and the Greater Middle East: Challenges and Opportunities (with Geoffrey Kemp). Topic: The Iran Nuclear Negotiations: What's a Realistic Outcome? Greg Thielmann has served more than three decades in the executive and legislative branches of government, specializing in political-military and intelligence issues. Before joining the Arms Control Association (ACA) as a senior fellow in 2009, he worked for four years as a senior professional staffer of the Senate Select Committee on Intelligence (SSCI). He was previously a U.S. Foreign Service Officer for 25 years, last serving as Director of the Strategic, Proliferation and Military Affairs Office in the Department of State’s Bureau of Intelligence and Research. His foreign posts include Deputy Political Counselor of the U.S. Embassy in Brasilia, Brazil; Political-Military Affairs Officer in Moscow, USSR; and Political-Military Affairs Officer in Bonn, Germany. Thielmann also served as Deputy Director of the State Department’s Office of German, Austrian and Swiss Affairs; Special Assistant to Ambassador Paul Nitze (then Special Adviser to the President and Secretary of State on Arms Control Matters); and State Department advisor to the U.S. Delegation at the Geneva INF arms control negotiations. His July 2003 appearance at an ACA press briefing on faulty intelligence assessments regarding Iraq’s WMD capabilities led to a CBS News 60 Minutes II segment titled “The Man Who Knew,” which won an Emmy Award for reporter Scott Pelley. Greg is a member of the Council on Foreign Relations. He lives in Arlington, Virginia, is married, and has a daughter living in Portland, Maine.